Did you know that nearly one in five children in America don't have enough to eat? Without consistent access to nutritious food, these children are unable to grow and learn like their better fed counterparts. They literally lack the energy to keep up with other kids and quickly fall behind in more ways than one. Yes, this is happening here in the United States. But there are ways we can make a difference. Food bloggers from across the country will be participating in bake sales in April with the proceeds benefiting Share Our Strength. The bake sale was started a few years ago by Gaby Dalkin of What's Gaby Cooking. She later partnered with Bloggers Without Borders to make it a national event. Last year, participating bakers raised more than $25,000 collectively. This year, the goal is to raise $50,000. To help illustrate how this helps, just $1 has the potential to give a child access to ten meals. That's making difference. 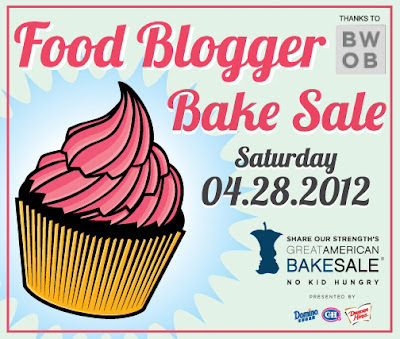 Locally, there are nearly 40 bakers participating in the San Diego Food Bloggers Bake Sale. Last year, 32 bakers strong, the group raised $1,750. Our goal this year is to top that. But to do that, we need your help! When: Saturday, April 28th from 10 a.m. to 2 p.m.
Hungry children cannot thrive. Yet millions of kids in America are at risk of going hungry. … It doesn’t have to be this way. There is plenty of nutritious food in America to make sure every child grows up healthy and thrives. What’s missing is access to this food. If families don’t have reliable access to healthy, affordable food, they can’t possibly feed their children well. … Share Our Strength’s No Kid Hungry® strategy provides that access to families all across the nation, so that every child, regardless of circumstances, can get the healthy food they need to thrive. Consider making a direct donation by going to our donation page. Even if you don't live in San Diego but still want to help, please do. Whether it's $2 or $20, any little bit helps. You can enter your zip code over at Share Our Strength (bottom right corner) to see if there is a bake sale happening in your neck of the woods. If not, there is still time to organize one yourself. 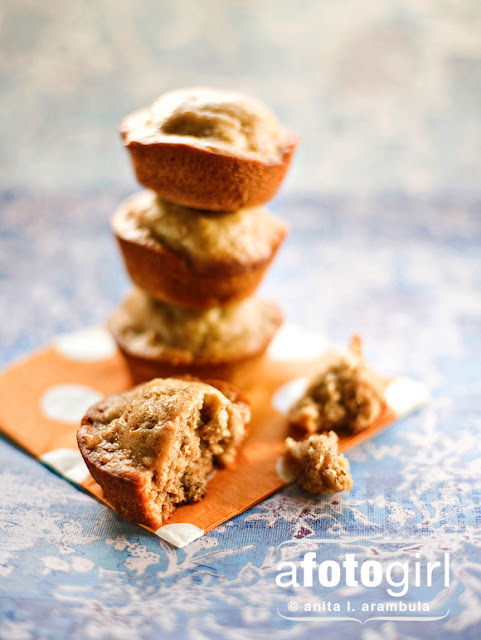 These Banana Peanut Butter with Bourbon Muffins are on my consideration list of offerings for the SD Food Bloggers Bake Sale this month. They were a huge hit at work. Hmmm... These might edge out the cookie considerations. This will be my first year participating and I am so excited and honored to be doing so. 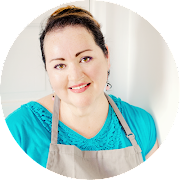 I've been testing out recipes, creating new ones and I'm finding the process simultaneously daunting and exhilarating. I haven't landed on a choice(s) yet. There are the old standbys: chocolate chip cookies, peanut butter cookies, shortbread. Or should I go with muffins like a Banana Peanut Butter Bourbon muffin I developed a few months back or Banana with Mexican Chocolate muffins, or go savory with Cornbread Muffins with Cheddar Cheese and jalepeños? I have too many choices. The decision might come down to plucking a piece of paper out of a hat. What do you think? What kinds of treats do you gravitate towards at bake sales? I'm looking forward to meeting some of you lovely readers at the sale. And while you're there, after you have a few treats in hand, be sure to pop in for a little shopping at Great News! -- our awesome hosts again this year. I hear you! I know the deadline to tell Marie what we are making is tomorrow. I can't decide!!! It's my first year, too. I won't be there, but my dessert willbe. Hopefully I'll meet people after! Good luck! And I think the Banana with Mexican Chocolate muffins sound like a great choice! Just came across your blog and LOVE the photos. Those muffins look absolutely mouth-watering! !